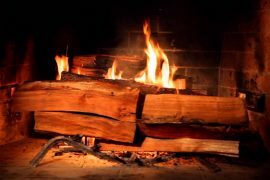 Today, we remember those who perished by the hands of fearful community leaders in the village of Salem, Massachusetts. On March 1st, 1692, Sarah Good, Sarah Osborne, and Tituba, an Indian slave from Barbados, owned by Reverend Samuel Parris, were charged and arrested for practicing witchcraft. The charges stemmed from the accusations of children who were connected to the Parris household. All three initially denied any wrongdoing, but later that day Tituba turned on the other two and confessed that the three had together met with Satan himself and agreed to do his bidding. To date, there has been no physical evidence that any of the three practiced any sort of ritualistic magic or witchcraft. Historians all agree that the Tituba confession was the product of threats and torture, yet in 1692 it was an acceptable way of reaching the “truth” and stood up under scrutiny. About a month before the arrests, Elizabeth Parris, the 9 year-old daughter of the good Reverend and his niece Abigail Williams, 11, were suddenly stricken with fits and other strange behaviors. Unable to attribute the girl’s conditions with anything physical, the village doctor, William Griggs, along with another minister from neighboring town made a diagnosis of witchcraft. Sara Good and Tituba were accused first, and then Sarah Osborne. The town leaders joined in the interrogation off the girls and the list of “witches” began growing as well as the number of god-fearing citizens who were somehow afflicted by witchcraft. More details can be found on this timeline. 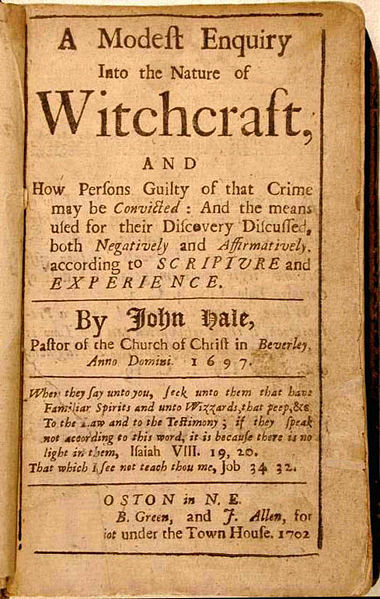 In the 1692 persecution, 140 people were accused, of those 24 people were convicted as being witches. Of those, 19 were hanged, 1 pressed to death, and the remainder died in prison. No witches were burned in Salem. Most of the accused were middle-aged women, but also a few men, and even a child only 4 years old. Not all of them were from Salem either, with many in the surrounding communities. The period from March 1st to October was one of fear, sensationalism, and slaughter of the innocents. Once the hysteria began, it rapidly grew and led to real executions and property confiscations. No one seemed safe of being pointed out by someone else as being in league with the Devil. Yet in hindsight, it’s worthy to look at each of the individuals to understand why they could be singled out for such a terrible plight. Sarah Good was married to William Good, and at the time of her arrest was a beggar who while pregnant, went door to door asking for charity. Some say she was an easy target in the very pious Puritan village where everyone was expected to conform to a strict way of living. It didn’t help that both her and her husband had several disagreements with other citizens over the years. She was held in a Boston jail from March 7th until June 28th before being officially charged with using witchcraft against three individuals. During her imprisonment, her 4 year-old daughter Dorothy was also accused and arrested. The child spent nearly 8 months chained up in a dungeon but was later released. Sarah was brought to trial in June, and even though no actual evidence was presented and one of her original accusers had been caught lying to the court, Sarah was found guilty. Since she was still pregnant, the court suspended her execution until July 19th, on which day she along with other witches died on the gallows on Proctor’s Ledge, Salem. Her infant child passed away shortly after being born. Sarah Osborne was the wife of Alexander Osborne, her second husband. At the time of her arrest, she was considered a social outcast in Salem, mainly because she hadn’t attended church for many years. Despite that it was illness which kept her home the accusations against her came nonetheless. In her first marriage, she was tied to the powerful Putnam family and was engaged in a legal dispute with that family at the time of her arrest. Ann Putman, another child also of Salem, was one of her accusers, which seems to support the belief that her arrest was more than just about supposed witchcraft. Sarah never made it to the gallows; she died in prison on May 10th, 1692. Her age at the time was estimated at 49. Tituba was a slave and little is known about her background. She arrived in Boston with Samuel Parris and several others slaves. Parris later married and became the town minister of Salem in 1689. He was known for preaching fiery sermons warning parishioner’s about the influence of the Devil. There were many controversies surrounding the Salem Village Church at the time; namely financial ones. The two previously mentioned girls and Ann Putnam were the core group that originated the witchcraft claims against Tituba and the other two women. Tituba was accused of appearing to the group of girls as a spirit, which was considered witchcraft in the 1600’s. She was severely beaten but ultimately confessed and named others; since she confessed, she was kept from being tried. She was imprisoned and more accusations surfaced yet her name was hardly mentioned in any of the court proceedings. She later recanted her confession, which led to Reverend Parris abandoning her to spend her life in jail. The next year, long after the trials were over, someone seemingly purchased her from Parris and paid to have here released from jail. She quickly disappeared and was never heard from again, despite her daughter Violet still being part of the Parris family. The next to be accused and arrested was Martha Corey who was detained on March 21st. She was married to Giles Corey a farmer who would later be imprisoned as well. Martha’s plight seemed to begin when she protested her husband’s attendance at the examination of Sarah Good. Martha had repeated expressed skepticism about the existence of witches and the Devil to her neighbors, and she tried to stop him from going to the spectacle. Unfortunately for Martha, Giles told others about the incident. Once again, Ann Putman reported seeing the spirit of Martha. Unlike the initial accusations, this time several adults joined the fray, including Ann’s mother and several other connected townspeople. She maintained her innocence, but during her questioning, the accusers suddenly went into dramatic fits in front of everyone. Her fate was sealed and she remained in prison until her execution by hanging on September 22nd. Three days later, on March 24th, a 71 year old woman named Rebecca Nurse, was arrested. At the time, she was a member of Salem church and very pious. Her only negative was that she was known for occasionally losing her temper. Her husband, Francis Nurse was a former Salem Constable and had fought the powerful Putnam family in court several times over land disputes. Like the others before her, her list of accusers included Ann Putnam and her mother, along with others who also engaged in theatrical actions during her examination. She was imprisoned with the others. Her family attempted to fight on her behalf, but it only led to their arrests as well. Her younger sister, Sarah Cloyce, was arrested on April 8th and another of their sisters, Mary Easty, was arrested April 21st. Rebecca was executed by hanging on July 19th. The month of April was particularly devastating for Salem as the accusations and subsequent arrests kept coming. On April 11th John Proctor, a wealthy farmer and tavern owner was the first man arrested for witchcraft in Salem. Proctor was unpopular because he was an outspoken opponent of the trials and publically stated that the “afflicted” girls who were the primary accusers were lying and their actions fraudulent. John’s own servant, Mary Warren, supposedly was stricken with the same fits and she joined the mob of accusers but in an ironic twist accusing his wife Elizabeth of witchcraft. Elizabeth was pregnant at the time of her examination and during the hearing, the accusers shifted their narrative against John. He was quickly examined and ultimately both husband and wife were imprisoned. Later in May, three of their children, Benjamin, Sarah and William, were also accused of witchcraft and arrested as were Elizabeth Proctor’s sister, Mary Basset DeRich, and sister-in-law, Sarah Bassett. None of them were indicted. On June 2, John Proctor was physically examined by seven men for signs that he was a witch but his examiners reported that they didn’t find anything suspicious. On July 23, Proctor wrote a letter to the clergy of Boston pleading with them to appoint different judges or move the trials to Boston where he felt they would get a fair trial. Yet, it was too late for John and his wife Elizabeth; both were convicted of witchcraft on August 5th and sentenced to be hanged. Keeping with tradition Elizabeth’s sentence was delayed until the birth of her child. John was executed on August 19th while his wife remained imprisoned until she gave birth in January the following year. Even though she had been condemned, she was not executed and remained in jail along with her child. She was later released and spent her remaining years trying to restore her rights and her family legacy. On April 18th, both Bridget Bishop and Giles Corey, the wife of previously accused Martha Corey, were arrested. On the surface, Bridget appeared to be another easy target. She was known to associate with the “wrong” type of people, staying up late drinking and gambling, and it was said she was immoral. This was the second time she was accused of witchcraft, the first time coming immediately after her first husband passed away, but she was acquitted. Her second arrest was part of a sweep which included three others; Giles Corey being one of them. She was immediately brought to trial and sentenced to death. She was the first of the Salem Witches to be tried in a court of law and the first to be executed, despite others sitting in prison. She was hung on June 10th. Her son and his wife were also accused, but luckily escaped from prison; hiding out until the persecutions ended. 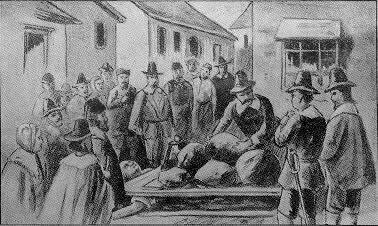 Giles Corey was nearly 80 when he was arrested, was a successful famer, and loyal church member. One of the same accusers that led to his wife’s conviction also pointed the finger at Giles. During his examination, more accusers came forward and he was formally indicted as a witch. Giles was an intelligent man but he saw no way out of the charge, so he refused to enter either a guilty or not guilty plea. The magistrate attempted to pressure him to confess and beginning on September 17th, Giles was subjected to a medieval torture method known as pressing. He was stripped naked and had a large plank placed on top of his body. Heavy stones were piled on the plank, literally crushing him slowly. When he was asked to enter a plea, his only response was “more weight.” After two days of this excruciating punishment, he died. Because he never went to trial, his family reputation and vast land holdings were not subjected to seizure. His wife was hung a few days later. On April 21st Mary Easty and Sarah Wildes were arrested. Mary was the sister of previously accused Rebecca Nurse and her mother Joanna Blessing Towne was also suspected of being a witch. Mary’s husband Issac has previous issues with the Putnam family. She had a very good reputation but as already shown, anyone with an issue connected to the Putnam’s seemed to be on the short end of the stick. She was examined but ultimately released on May 18th. One of her accusers refused to stop making new accusations and she was re-arrested two days later and indicted on 2 charges of witchcraft. She was hanged along with many others on September 22nd. Sarah Wildes and her husband lived in the neighboring town of Topsfield, where he held high ranking positions of town treasurer and constable. One of the couple’s children was always acting strange; his symptoms were those of someone with mental illness. Many thought it was a sign that she was a witch. Even though she had a high community ranking, she was considered by many as an undesirable. She was a non-conformist with several minor incidents in her younger days which many never forgot. She married John Wildes who already had a large family, a mere seven months after his first wife died. This union didn’t sit well with his former in-laws, who were related to the Putman family. She was examined in a similar fashion as the others, including the theatrics. She stood trial along with Sarah Good, Rebecca Nurse, Elizabeth Howe, and Susannah Martin on June 30th. Once again, Ann Putman testified to her spectral activities and she was condemned to be executed by hanging on July 19th. On April 30th, two more noteworthy arrests took place. George Burroughs, the former minister of the Salem Church and a Harvard educated man was arrested and charged with practicing witchcraft. He also became embroiled in a financial issue with the church over his salary and he left Salem to relocate to Maine. 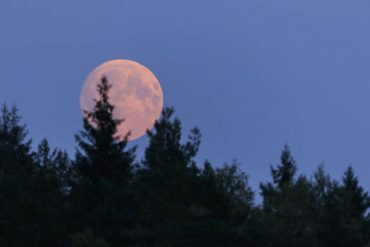 Several girls in Salem accused him of doing impossible acts of strength and constables were sent to Maine to return him to Salem to be examined. Aso on the same day Lydia Dustin of Redding, Massachusetts was arrested. Not much is known about her other than she was connected with others which had been previously accused. She was examined and imprisoned immediately thereafter. Several of her family members were also arrested but never indicted. Lydia died in jail the following year, March 10th, 1693 as she was unable to pay her jail fees. On August 5th, George Burroughs was indicted by a grand jury. He was executed by hanging on August 19th. May was an even worse month for the residents of Salem; starting with the arrest of Susannah Martin, a 71 year-old resident of nearby Amesbury. Susannah had a similar profile to many of the other accused; she was a troublemaker. She had been previously accused of witchcraft no just once, but twice; in both cases the charges were dropped. She was left destitute after several lengthy court disputes and ultimately was unable to inherit her father’s estate after her husband passed. She had no one to come to her defense when she was arrested for the third time. The same group of girls sealed her fate, ironically without even knowing her, as she did live in another town. In what appeared to be a case of the girls being used to do someone else’s dirty-work, she was brought before a Salem magistrate. Despite the lack of evidence, she was executed on July 19th. George Jacobs, Sr., a farmer, and John Willard, Deputy Constable of Salem, were charged on May 10th. Mr. Jacobs was no stranger when it came to brushes with the law. He had a violent temper, one that led to a dispute with Nathaniel Putnam. He along with many other members of his family were accused by one of his servants. George was by no means a pushover and he repeatedly denied all charges against him, even going to the length of admonishing the judges for believing the accusations. His examination went into the second day, but was quickly ended when Ann Putnam stated that his spirit had confessed to her about being a witch for over 40 years. At his trial, every witness against him claimed some sort of spectral evidence yet not a shred of physical proof. He was found guilty and hanged on August 19th. John Willard was a young man, no older than 30 and little is known about his younger days. He married into an established Salem farming family but had little interest in farming himself. He engaged in land speculation with a few partners which resulted in profits, but also allowed outsiders to get a foothold on Salem lands. Historians claim that his in-laws were jealous of his success. As constable, John was responsible for arresting accused witches, but his heart really wasn’t into it and he became so disillusioned at imprisoning innocent people that he resigned in protest. After Willard quit his job, he soon found himself accused of witchcraft by none other than Ann Putnam, Jr. She later claimed, during his trial, that his spirit had appeared at her home several times in late April and tormented her and tried to get her to touch the Devil’s book. Although he was accused publicly, no arrest warrant was issued. John Willard went to Boston during election week, spending time with many people. One of his in-laws became quite ill and blamed a cross look from John as the reason. This man, Bray Wilkins, returned to Salem only to find his grandson suffering from similar conditions. The girls, including Ann Putnam once again made their presence known and claimed to see spirits sitting on the victims; spirits controlled by John Willard. An arrest warrant was issued, but Willard fled, finally being tracked down about a week later by Constable John Putnam. By attempting to elude arrest, he was considered guilty. No physical evidence was discovered when he was examined. At his trial, not a single person spoke on his behalf and he was found guilty and hanged on August 19th along with many others. On May 12th, Alice Parker and Ann Pudeator were arrested. 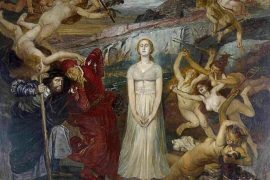 Alice was a simple housewife and was known as a good woman; that is until she was accused of witchcraft by Mary Warren. Warren claimed that Alice had murdered her mother using a poppet and a needle and that she was part of a group of 30 witches. Not many details survive other than she was indicted and subsequently hanged on September 22nd. Ann Pudeator was a wealthy woman about 70 years old, also accused by Mary Warren. Soon after the initial accusation, Ann Putman and others added to the list. It’s never been firmly identified, but her occupation as a nurse and midwife may have been a motivation for others to charge her with witchcraft. She was hanged on September 22nd. Roger Toothaker was arrested on May 18th. Roger was a folk healer and farmer from nearby Billerica who specialized in detecting and punishing witches. He had no formal medical training, other than an apprenticeship with a Physician who focused on mystical remedies instead of science. He served as a midwife in Salem until Dr. Griggs arrived from Boston in 1690. Toothaker, like the others was accused by Ann Putnam and her group. He was brought before the court, but no records survive of his examination. He was sent to prison in Boston, where he died on June 16th, less than a month after being arrested. It was said that Toothaker and his wife claimed to practice a form of counter magic to protect themselves against witchcraft and that his own daughter had killed a witch. It was likely that the court didn’t consider the good versus bad angle and only focused on the witchcraft portion of the statement. Three arrests came at the end of May. Elizabeth How, was accused of witchcraft for the second time in her life. The first occurrence was in 1682 when she was accused of bewitching a 10 year-old girl. The girl died a few years later, but no formal charges were ever filed against Elizabeth. After the incident, she was actively blocked from joining the church in her area. Soon thereafter stories about farm animals being bewitched were linked to her. A decade later, Elizabeth How was again accused of witchcraft, by the same group of girls. She was arrested in Topsfield and examined. The moment she entered the room, the girls began with their theatrics; showing signs of fits and other strange behavior. How was convicted on two counts of witchcraft even after many people spoke on her behalf. She was hanged on July 19th. On the 28th of May, Martha Carrier a 33 year-old woman from Andover was arrested as a witch. She was immediately examined and many of her neighbors testified against her. Martha’s case is unique because the courts coerced her own children to testify against her. Her older children were arrested and her younger children, then 7 and younger were actually tortured until they implicated their mother. On august 5th, she was found guilty. On August 11, Martha’s 7-year-old daughter Sarah Carrier and her husband Thomas Carrier were examined. On August 19th, Martha Carrier shouted her innocence, refusing to confess to “a falsehood so filthy” in order to avoid hanging. Like many of the other Salem Witches, Martha was considered a disagreeable member of the community and an easy target. 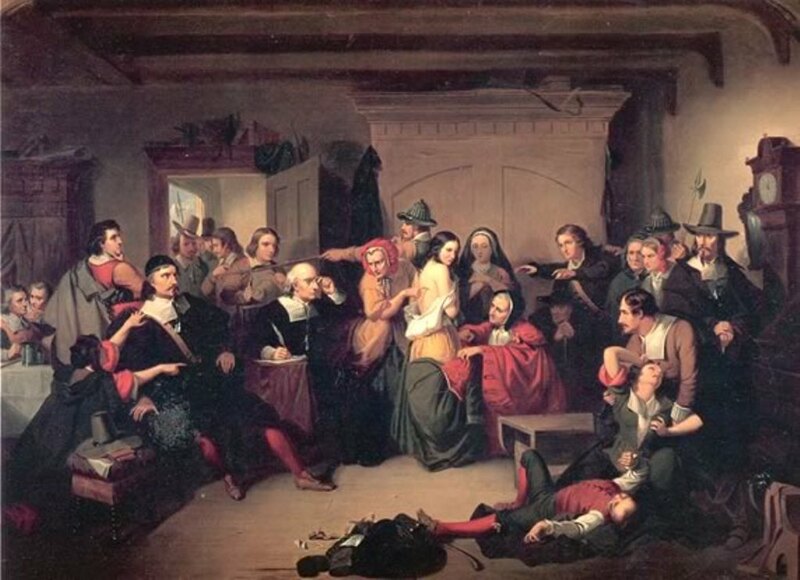 Also on May 28th, Wilmett Redd, an “irritable” woman from Marblehead, Massachusetts was arrested and accused of witchcraft by the same group of girls from Salem. Once again, almost as if on cue, the girls began to act out and show signs of being bewitched during the examination. Wilmett, known as Mammy Redd, was in her mid-50’s and married to a fisherman. The accusers claimed she flew from Marblehead to Salem just to torture them. She refused to confess and no one spoke on her behalf at her trial. She was convicted and hanged on September 22nd, but unlike all the other victims, no one came forward to claim her body. She was the only person from Marblehead convicted in the Witch trials. In June 1692, Governor Phips appointed Lt. Gov. Stoughton as chief justice of the Massachusetts court, in addition to his position on the special court of Oyer and Terminer. There were a few arrests that month, but none warranting execution. The newly appointed court spent the month convicting and sentencing and ultimately executing those who were guilty. Most of those tried were condemned on the basis of the witnesses’ behavior during the actual proceedings, characterized by fits and hallucinations that were argued to be caused by the defendants on trial, instead of physical evidence. Ann Foster of Andover was arrested on July 15th, at the time she was 75 years old. Her circumstances are also unique. Elizabeth Ballard, another Andover resident, had a fever in 1692. Her doctors could not figure out the cause, and suspected witchcraft. They sought Ann Putnam Jr. and Mary Wolcott, to see if they could identify the source of the witchcraft. As soon as they saw the aged widow, they immediately began to go into their fits; it was enough evidence for the doctors and they contacted the authorities who had her arrested the same day. Her family members were also brought in and they eventually implicated her. Seeing how much duress the courts were putting her daughter under, Ann Foster confessed. She was convicted and sentenced to death, but she was never executed. She died in prison on December 3rd. Her daughter remained in jail and little is known of what happened to her. The accusation of Ann Foster is one without many details. Most assume she was chosen by the girls because she was an old woman and an easy target. There was no evidence against her, even in her past. By August, skepticism was rising on the validity of the spectral evidence being provided by the group of girls. On the 5th, Margaret Scott of Rowley, was examined for being a witch. Her only “crime” was a high rate of mortality among her children. 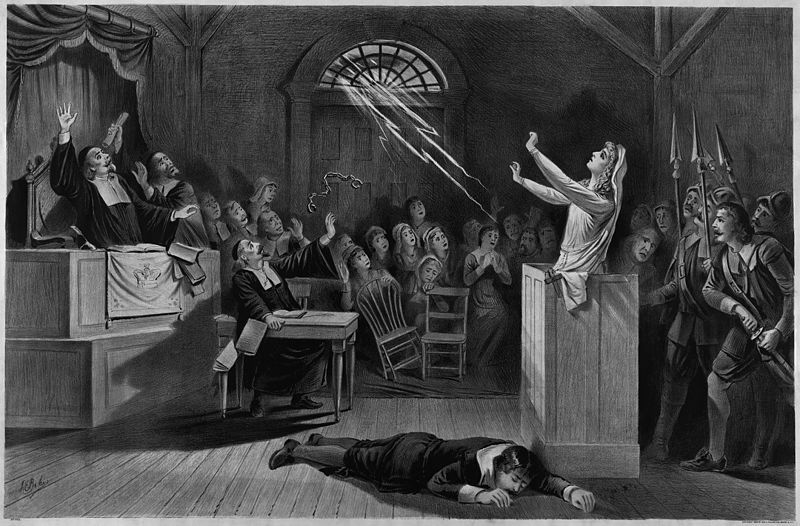 In the 1600’s women who had issues with raising healthy children were susceptible to witchcraft charges. Only 3 of her 7 children made it to adulthood. She was also a widow for over 20 years, another questionable practice in Puritan New England, plus she was poor and sometime seen begging. Margaret was formally accused of witchcraft by one of Rowley’s most distinguished citizens after the daughter of Captain Daniel Wicom became afflicted by witchcraft. The family brought forth a host of witnesses, which sealed Margaret’s fate. She was hanged on September 22nd. 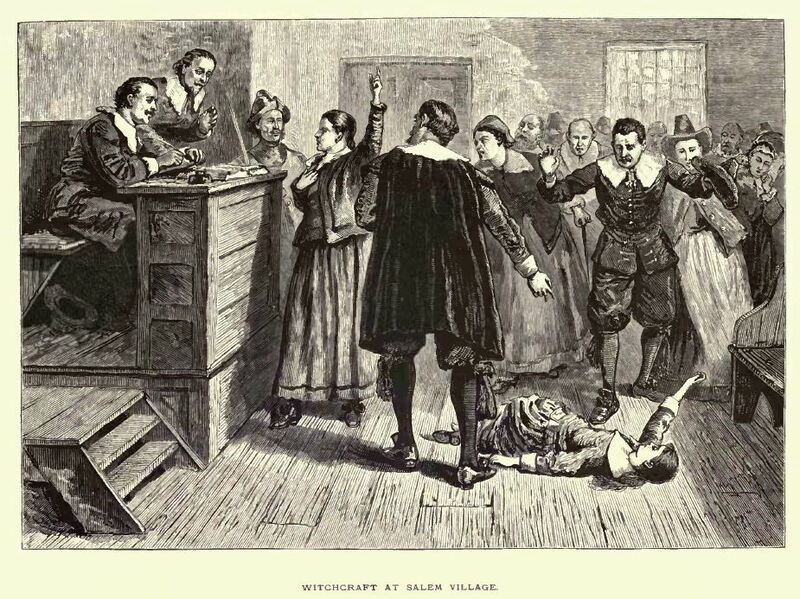 Of the Salem Witches, the last two notable arrests came in September. Samuel Wardell and Mary Parker, both of Wardell were arrested on the 1st and 2nd, respectively. 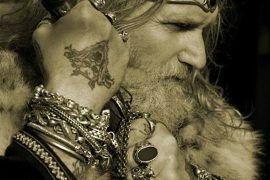 William Baker, Jr., a 14 year-old boy accused Samuel, Sarah, and their 19-year-old daughter Mercy Wardwell of witchcraft. All three confessed under extreme conditions the very day they were interrogated. Samuel was executed by hanging on September 22nd, Sarah then widowed was released from prison and died in 1712. Samuel was a carpenter who may have been a little too eccentric for the times. He was an amateur magician and told fortunes, which attracted the attention of witch hunters at the time. Mary Parker, a 55 year old widow, and mother of Sarah Parker who was also accused was arrested. Mary refused to confess during the witchcraft trials and cited the fact there were three other women by the same name in the area. One was her sister-in-law who was the old and senile widow of Joseph Parker, who had a documented history of mental instability. In those days, a bad name could lead to hard times, and Mary might have been the victim of such an event. Even her accusers while at the trial had difficulty determining if she was the Mary Parker they associated with the actions. Using modern day vernacular, Mary Parker was railroaded, being accused, arrested, tried, and summarily executed on September 22nd on a shoestring of so-called evidence. Of all the Salem Witches, her story is told the least. In October 1692, Governor William Phipps of Massachusetts ordered the Court of Oyer and Terminer dissolved and replaced with the Superior Court of Judicature, which forbade the type of sensational testimony allowed in the earlier trials. After the change, the executions ceased, and the newly formed Superior Court released all those awaiting trial and pardoned those sentenced to death; although some remained incarcerated as they were unable to pay the jail fees. The Salem witch trials, which resulted in the executions of 19 innocent women and men, had a profound impact on the citizens of Massachusetts. To this day, the term “Witch Hunt” refers to someone being charged and often convicted in the court of public opinion with little or no evidence other than the words of someone else. The main accusers had bad lives after the summer of executions. Ann Putnam Jr. who was the leader of the group of girls claiming they were afflicted. She accused many people of witchcraft and testified using a theatrical approach of fits and seizures. Those accused, we now know, were just enemies of the family and she was a pawn. Ann never admitted that anything she did was on purpose. After the trials, Ann had a bad life. Her parent died a few weeks after the last of the trials and Ann was left to raise all of her younger siblings; nine in total. She did write an apology, but never admitted to not being bewitched. She died at age 37 in 1716 from unknown causes. At the end of her life, loneliness was her constant companion and she never married. Perhaps her childhood was too much for any man to attempt courting her for fear he would be accused and executed at the first sign of any problem. Elizabeth Parris started having random outbursts in February of 1692. She would start speaking gibberish and would run around like an animal and then hide. After the start of the Witch Trials, she was sent to live with her aunt. Modern doctors say that Betty might have actually been sick with what scholars think is Convulsive Ergotism, a disease caused by consuming contaminated grain. She did get better living with her aunt. Abigail Williams was Reverend Parris’s orphaned niece. She too may have been sick and after playing a major role accusing witches disappeared and not much is known about her. Some say she never married and died at 17. Reverend Parris never achieved fame and fortune. He was promised a big reward for his role in the trials, but never received it and died in poverty years later. The Salem Witch Trial victims deserve our respect for their suffering at the hands of a church-driven community drunk with power. They were tortured, coerced, and their families destroyed by a court system that decided guilt or innocence on spectral evidence and hearsay. They were innocent people that refused to conform to the Puritan way and paid for it with their lives. A memorial stands in Salem at the site of the execution, commemorating the lives that were lost.